No matter your perspective on tech, at least one of these 10 conferences will suit your needs. 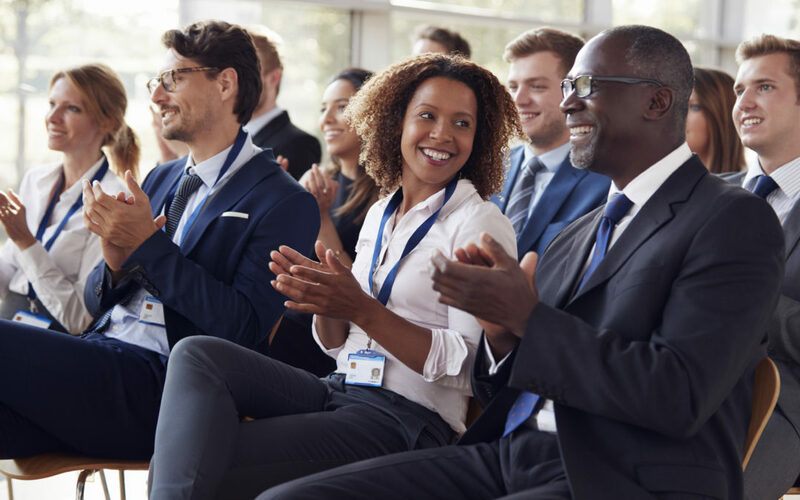 More than 170 technology conferences are scheduled to take place in locations throughout the United States during 2019, with more expected to be announced. While some events are restricted by membership, area of concentration or industry type, many are designed to attract a broad mix of entrepreneurs, investors, executives, exhibitors and others interested in the latest news, trends, developments and opportunities in the tech world. The inaugural Bronze Valley Conference in 2018 — part of a larger initiative to create an education-to-opportunity-to-outcome pipeline for ethnic minorities and women in tech-related fields — attracted corporate executives, elected officials, entrepreneurs, venture capitalists, policymakers and thought leaders from across the country. Dates for the the 2019 conference are being finalized to dovetail with several other events capitalizing on and contributing to Birmingham’s status as an emerging hub for the future of tech-related business, investment and employment opportunities. 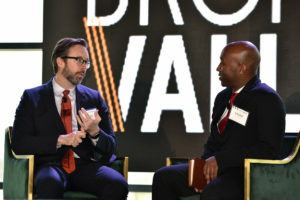 The lineup at Birmingham’s inaugural Bronze Valley Conference, in 2018, featured speakers like James Heath, financial principal of Southern Company (l), and Kwame Anku, co-founder and principal of the Black Angel Tech Fund. With its setting in the heart of the world’s largest startup community — Silicon Valley — Startup Grind annually attracts thousands of entrepreneurs and innovators looking to take advantage of opportunities to expand their networks and connect with potential investors and customers. Each year, more than 300 startups gain invaluable exposure by being accepted as exhibitors at the conference. The agenda features a roster of industry-leading speakers, with content and programming targeted to attendees at every stage of the startup journey. Attendees perennially rate the Future Festival among the top innovation conferences in the world. Spotlighting trends, offering award-winning workshops and one-on-one advisory meetings and providing data-driven insights and demos of the latest tech advances, the festival annually attracts high-level innovators and representatives of leading global brands. Attendees can take advantage of personalized insights provided through both individual and organizational assessments conducted onsite. This year’s schedule includes several one-day events in several U.S. cities, in addition to a one-day session in Berlin and a three-day “world summit” in Toronto. Five U.S. cities — plus Moscow and Tel Aviv — will host one-day FUND Conference events in 2019. Entrepreneurs, venture capitalists, private equity firms, angel investors and industry experts attend. The emphasis is on facilitating same-day connections that provide capital and other resources critical to the development of emerging growth businesses. The event includes a startup expo, pitch competitions, ample networking opportunities and specialized content aimed at accelerating high-growth entrepreneurship and innovation. TechDay is designed to give startups at all stages direct access to the critical resources they need to grow and succeed. Investors, job seekers, potential customers, members of the media and others interested in the latest developments and opportunities in the tech world attend. More than 20,000 are expected at the New York conference, including over 400 startup exhibitors, while the Los Angeles conference will have approximately 250 exhibitors and attendance of more than 7,500 (a third event scheduled for October 25 in London will draw an additional 7,000 people and 200 exhibitors). Showcasing “next generation” advances in technology and innovation, Techspo attracts designers, developers, entrepreneurs, marketers, tech providers, tech talent and other tech enthusiasts from across the nation and around the world. In addition to six springtime conferences in North America, seven two-day events are scheduled throughout the summer and fall for locations in Europe, Asia, Africa and Australia — and there’s a seven-day “Techspo At Sea” conference in July, departing from Orlando via cruise ship. With annual attendance of well over 4,000 and more than 400 exhibitors participating, the Women’s Business Enterprise National Council bills this as the largest U.S. conference of its kind for women business owners. In addition to owners of WBEs, the conference and business fair attracts senior executives and procurement representatives from a broad variety of organizations and businesses — including Fortune 500 companies and the U.S. government — and sponsors and event partners whose missions align with WBENC’s objective of expanding opportunities for women-owned firms. Aimed at women seeking to launch, grow or scale their businesses, this conference and expo is hosted annually by the eWomenNetwork, which counts over 500,000 members in 118 chapters across North America. The emphasis on empowering entrepreneurs is reflected in the fact that more than eight in 10 attendees own their own business— and that 85 percent of companies represented have fewer than 10 employees, while less than 10 percent have annual sales over $500,000. Areas of focus include transforming ideas into fundable blueprints, accelerating growth and integrating proven sales and marketing concepts. Many conferences — including the ones on this list — provide opportunities for founders, funders, employees of fast-growing tech startups and techies in general to meet and connect. Approaching its sixth annual event, AfroTech was among the first geared specifically to creating opportunities for black people in tech fields. 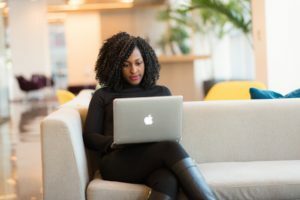 Now, it’s the largest black tech conference in the nation, at the center of a network for addressing issues common to those who “look different” and providing connections and resources for people at different levels of the journey.